This past week Stages Learning Materials fled the arctic tundra of Boston and Cincinnati to (what we thought would be) the warmer weather of Austin, Texas and SXSWedu. What is SXSWedu? It is an annual conference filled with panels and discussions focusing on technology innovation and learning. SXSWedu brings together an audience of stakeholders from backgrounds ranging from business development, research, and policy to early childhood educators. Aside from the obvious draw of meaningful conversations and the live music of Austin, we were looking forward to hearing how technology is having an impact on special education and experiencing some of the latest innovations in assistive technology. Here is our SXSWedu special education overview of some notable technologies that we think are making waves in the special education industry. Tobii is the world leader in eye tracking software. Their technology makes it possible for the computer to recognize where the user is looking. How does this impact the special education population? Well, the possibilities are endless, but to begin, it enables computers to be accessible to people who are unable to express themselves due to a wide range of disabilities including cerebral palsy, autism, and ALS. You can learn more about how Tobii is used to support the needs of different disabilities here. How responsive is this software? I was given the chance to take this for a spin. Naturally, each system will be calibrated to its unique user, but even without the unique calibration I was able to move the curser across the screen with no latency. I must admit, I felt a little like a jedi controlling technology with only my mind. I could probably play the training games all day, but the real power of Tobii technology lies in the ability to help the users complete everyday tasks such as speaking, writing emails, and browsing the Internet. Users rave about their new level of independence and privacy. Moving from controlling computers with your eyes, we now focus on controlling computers with just the wave of your hand. Not only does this technology render the mouse obsolete, but you do not even need to touch the screen. The Leap Motion Controller senses how you naturally use your hands and lets you interact with the screen in a completely different way. The use of this technology ranges from occupational therapist all the way to higher education institutions: forming letters in the sky to using your hands to rotate and dissect a skull. I was pleasantly surprised to learn that this small device is only $79.99. Compared to some other technologies developed for special education use, the reasonable price tag makes it worth buying just to experiment with potential applications. The Leap Motion does not immediately interact with the computer interface. You must buy applications on the Airspace store - Leap motion’s equivalent to the Apple App store. Unlike the ubiquitous iPad, the Leap Motion is still very early in its adoption, resulting in a limited selection of apps. So, how has this been used in classrooms? One of the most notable uses of Leap Motion referenced was with middle school students with autism. The teacher accessed Google Earth and directed the students to imagine that their hands were helicopters, literally putting the world in their hands. Along with building geographical skills, they also found it supported social interaction. The kids were so excited about what they were doing that they wanted to interact with others and talk about where they wanted to go around the world. 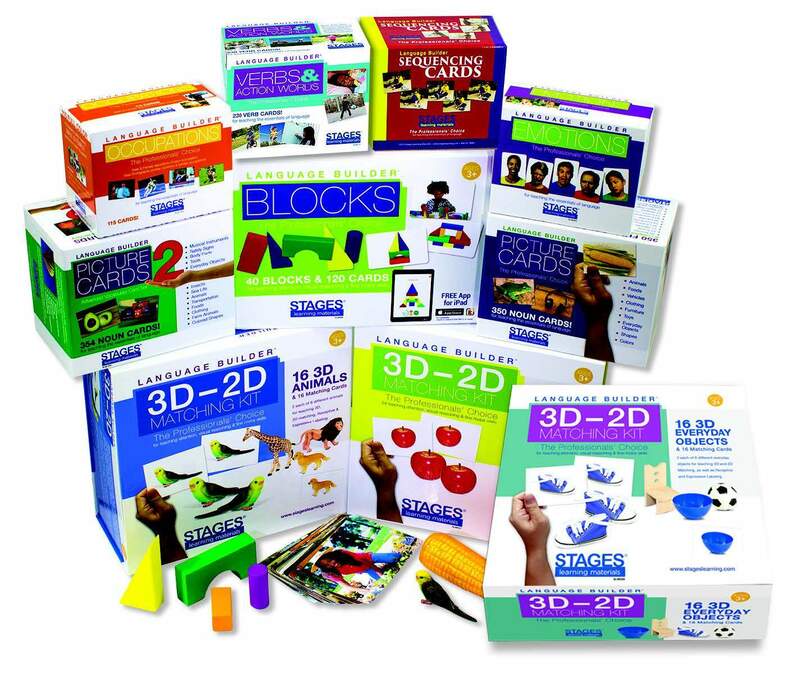 Early childhood teachers and occupational therapists have also used this technology to help build hand-eye coordination and fine motor control. 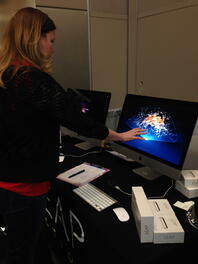 The power behind both the Leap Motion Controller and Tobii is letting students simply play with the technology. More often than not, they will intuitively come up with new ways to use the technology that teachers, developers, and therapists would never imagine. Giving students the time and ability to play enables them to personalize the use of these devices. If we have a growth mindset with technology and children with special needs, then the possibilities with technology are endless. 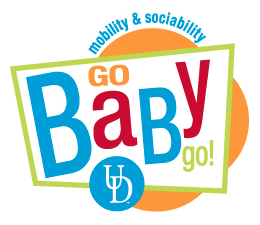 Go Baby Go is a project out of the University of Delaware that helps promote exploration in children with special needs. Studying how children learn to use their body, Dr. James Galloway noticed there are no electronic powered wheelchairs for children under the age of three. Free exploration is so important to children under the age of three, and unlimited mobility is the necessary vehicle that makes this possible. Galloway’s team realized that for the relatively reasonable cost of a ride along car from Toys R Us, coupled with $100 worth of materials from Home Depot, they were able to create a vehicle to help children with limited mobility explore the world around them. Rather than developing a company to create all these vehicles, the team from Delaware wanted to educate parents and clinics how to build the vehicles themselves through a user-friendly manual and short YouTube videos. Children who were once struggling to keep up with their friends on the playground are now the ones leading the way! We left SXSWedu feeling motivated and inspired to continue to build technologies and products to support learners of all abilities. Technology implementation in special education tends to be an afterthought, but instead we need to pivot our thinking about accessibility from a mandate to an opportunity to innovate - do you accept this challenge? 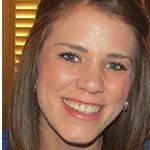 What are we doing in the special education technology space? Check out our Language Builder App!